The next presidential election isn't until Tuesday, Nov. 3, 2020, but the presidential race is already heating up. Republican President Donald Trump officially formed his 2020 presidential campaign in 2017 and is expected to clinch the GOP nomination, but the field is still wide open for Democrats and independent candidates hoping to run against him. Several Democrats, including billionaire environmentalist Tom Steyer and former Massachusetts Gov. Deval Patrick, have declined to run in 2020. Here's a running list of just some of the candidates who are vying for the Democratic nomination. South Bend Mayor Pete Buttigieg is launching an exploratory committee for a 2020 presidential bid. Democrat Pete Buttigieg, the 37-year-old mayor of South Bend, Indiana, formally kicked off his campaign April 14 after forming an exploratory committee earlier in the year. Buttigieg has touted his work to improve his city of 100,000 residents as he's prepared for a jump from local politics to a presidential campaign. He's also said Democrats could benefit from a new generation of leaders as they try to unseat Trump in 2020. Buttigieg would be the first openly gay nominee of a major presidential party; he married his husband, Chasten, last year. He would be the first mayor to go directly to the White House. And he would be the youngest person to become president, turning 39 the day before the next inauguration, on Jan. 20, 2021. 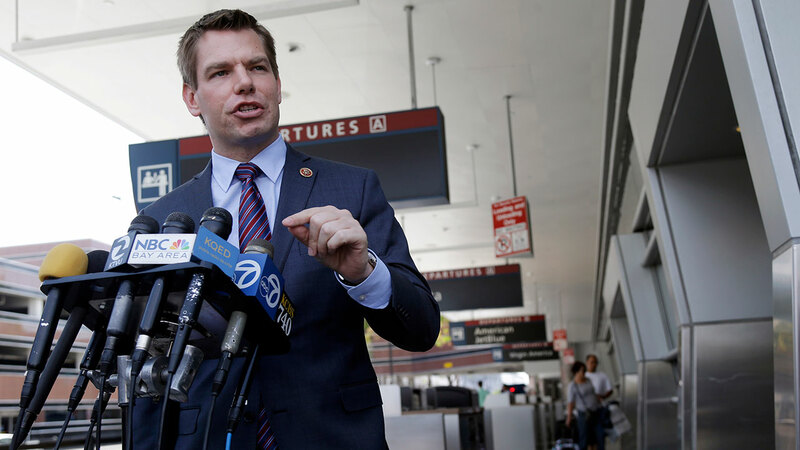 Rep. Eric Swalwell D-Calif, holds a news conference at the San Jose International Airport on Friday, May 2, 2014, in San Jose. California Rep. Eric Swalwell entered the race April 8 during an appearance on "The Late Show with Stephen Colbert." The congressman said, "I see a country in quicksand, unable to solve threats from abroad, unable to make life better for people here at home." He added, "None of that is going to change until we get a leader who is willing to go big on the issues we take on, be bold in the solutions we offer and do good in the way that we govern." The 38-year-old Iowa native was elected in 2012 to represent California's 15th Congressional District. Rep. Tim Ryan, D-Ohio, speaks at the Heartland Forum held on the campus of Buena Vista University in Storm Lake, Iowa, Saturday, March 30, 2019. 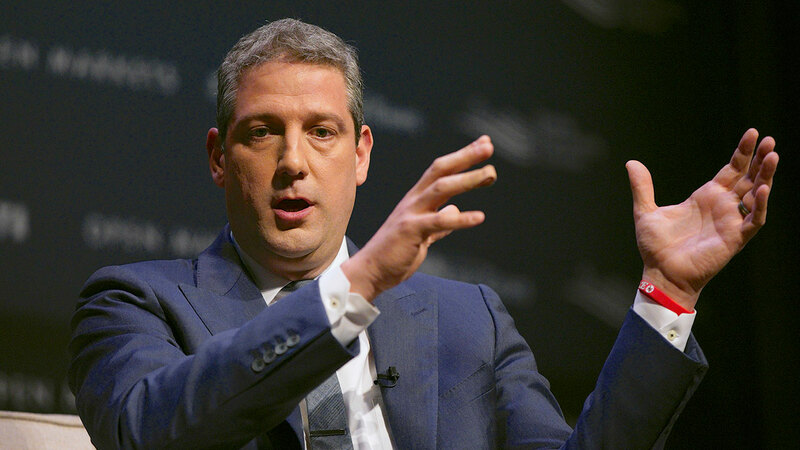 Ohio Rep. Tim Ryan jumped into the 2020 presidential race on April 4, portraying himself as a candidate who can bridge Democrats' progressive and working-class wings to win the White House. Ryan, 45, announced his primary bid on ABC's "The View." The congressman resisted being labeled a political centrist by the talk show's hosts, who pointed out that he's a recreational hunter with past backing from the National Rifle Association. In 2015, he reversed his past opposition to abortion in favor of abortion rights. "I'm a progressive who knows how to talk to working-class people, and I know how to get elected in working-class districts, because, at the end of the day, the progressive agenda is what's best for working families," Ryan said. 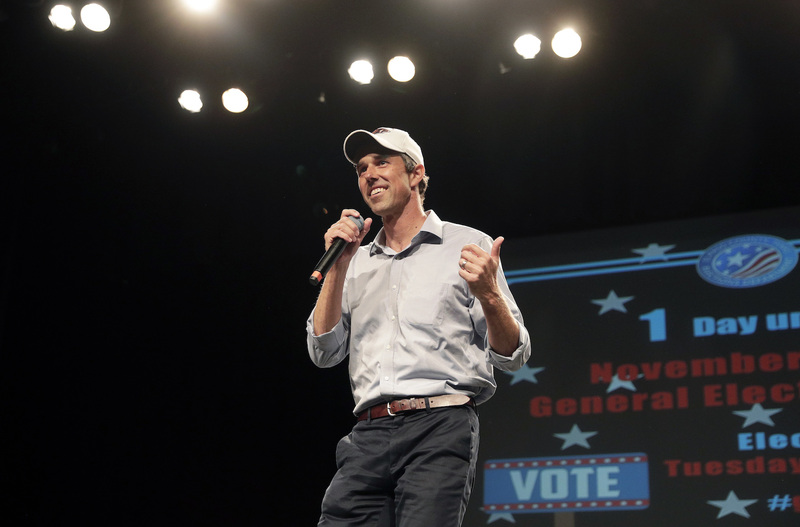 U.S. Rep. Beto O'Rourke, D-El Paso, the 2018 Democratic candidate for U.S. Senate in Texas, speaks during a campaign rally, Monday, Nov. 5, 2018, in El Paso, Texas. After a surprisingly close loss to Republican Sen. Ted Cruz for his Senate seat, O'Rourke is after the White House. In lieu of a produced campaign video, the announcement was made in a video released early on March 14 of the candidate speaking to the camera with his wife by his side. The outgoing Texas congressman called for "the greatest grassroots campaign this country has ever seen." The former governor of Colorado became the second governor to enter the race on March 4. Hickenlooper, who has in the past prided himself for staying above partisan fights, painted himself as a uniter in a campaign video announcing his run. The governor of Washington officially joined the race on March 1, 2019. Ahead of a public announcement in Seattle, Inslee launched his campaign with a video about the urgency of defeating climate change. Inslee, who has aggressively critiqued President Trump, is the first governor to join the Democratic primary in a crowded race. U.S. Senator Bernie Sanders speaks during a rally with young voters on the campus of the University of Colorado Wednesday, Oct. 24, 2018, in Boulder, Colo.
2016 presidential contender Sen. Bernie Sanders will be joining the race again, he announced Feb. 19. 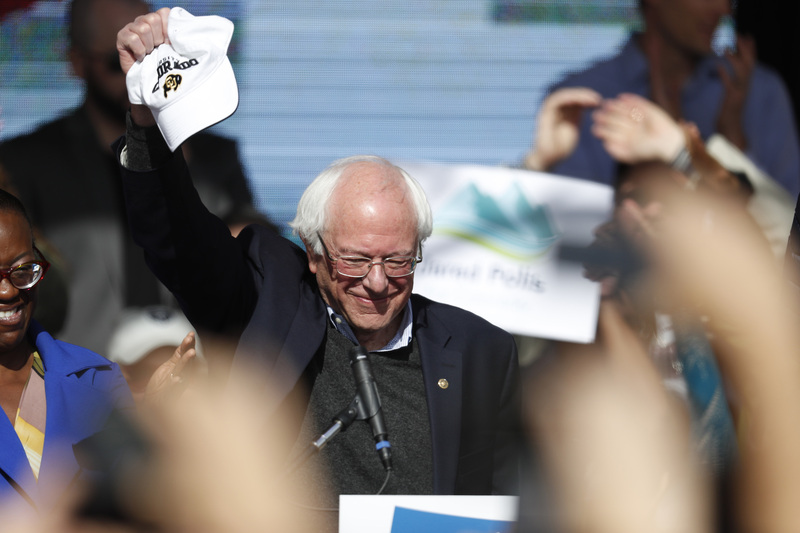 Sanders, who was active on the midterm campaign trail as he endorsed liberal candidates around the country, emerged as one of the early favorites in the opening phase of the 2020 campaign even before his announcement. 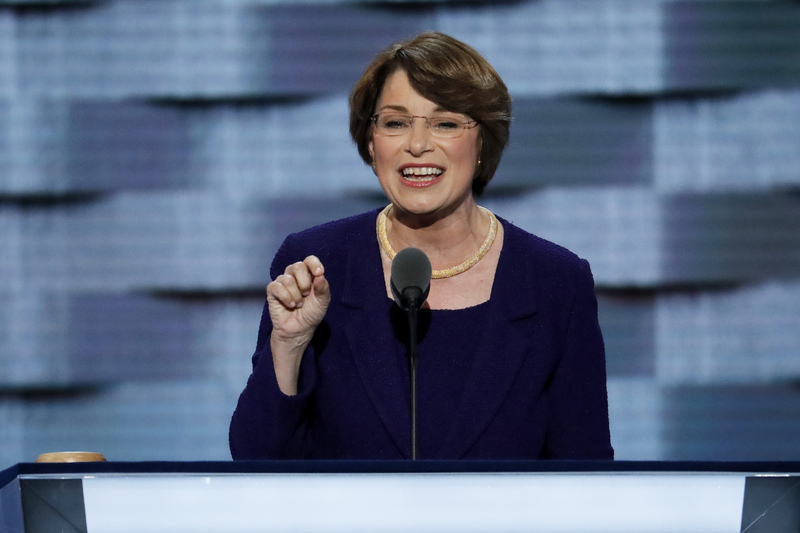 Sen. Amy Klobuchar, D-Minn., speaks during the second day of the Democratic National Convention in Philadelphia, Tuesday, July 26, 2016. Amy Klobuchar, a three-term senator from Minnesota, kicked off her campaign Feb. 10 in Minneapolis. She's the most prominent Midwesterner in the race so far and has drawn support from voters in urban, suburban and rural areas, including in dozens of counties Trump won in 2016. Sen. Elizabeth Warren, D-Mass, speaks during an organizing event at Curate event space in Des Moines, Iowa, Saturday, Jan. 5, 2019. 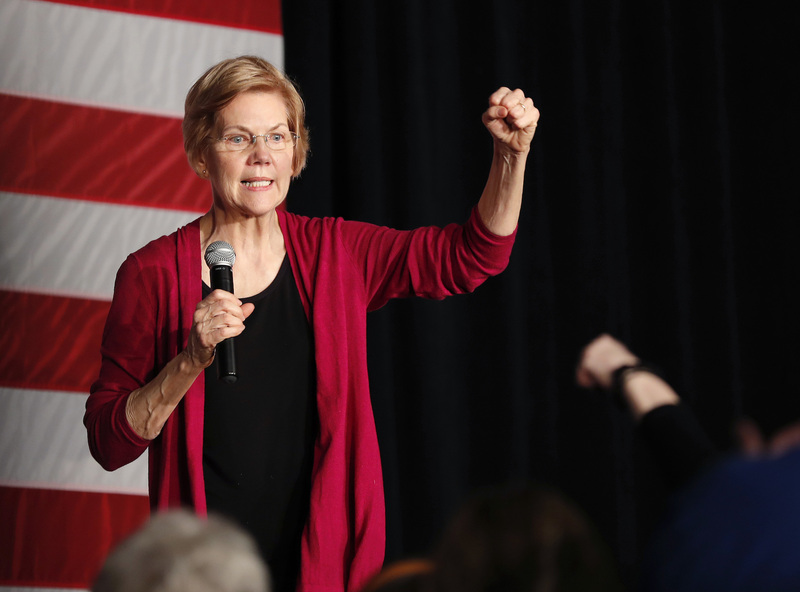 After announcing an exploratory committee on New Year's Eve, Sen. Elizabeth Warren formalized her bid for the presidency at a Feb. 9 rally in Lawrence, Massachusetts. 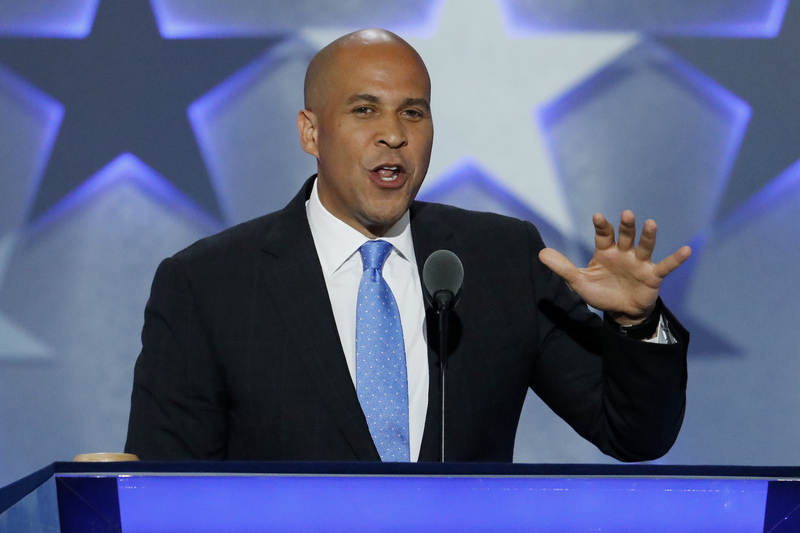 Sen. Cory Booker, D-NJ., speaks during the first day of the Democratic National Convention in Philadelphia , Monday, July 25, 2016. Sen. Cory Booker officially launched his campaign on Feb. 1, the first day of Black History Month. There was speculation Booker would run, as he was among the Democrats who were already testing their ability to connect with swing state voters, visiting Iowa, New Hampshire and South Carolina to build connections with key powerbrokers. Notably, Booker paced the stage at an Iowa Democratic Party fall banquet, repeatedly quoting Martin Luther King in a sermon-like speech to 1,200 of the state's most influential party activists, officials and donors in October. 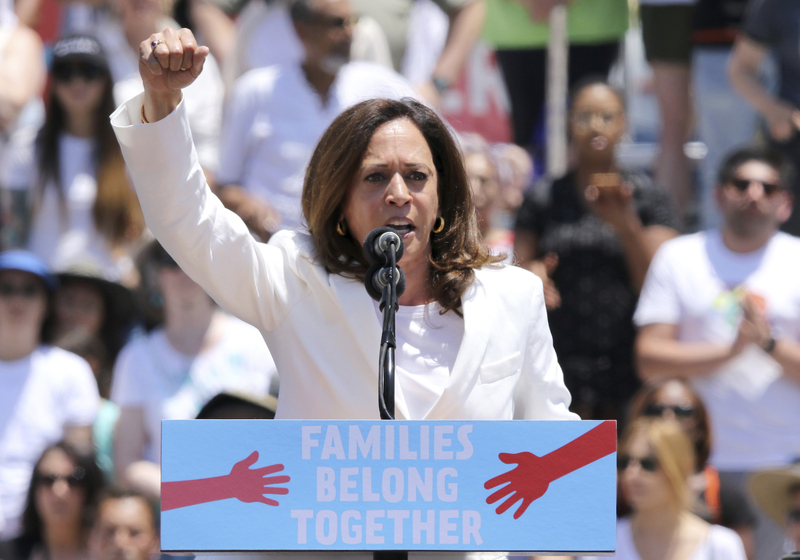 United States Senator for California Kamala Harris speaks at the "Families Belong Together: Freedom for Immigrants" March on Saturday, June 30, 2018, in Los Angeles. Sen. Kamala Harris (D-CA) officially launched her run by making the announcement on Good Morning America on Martin Luther King Day. "The American people deserve to have someone who is going to fight for them...and put them in front of self-interest," she said. Harris has served as a senator since 2017 after previously serving as the district attorney of San Francisco and California's attorney general. Sen. Kirsten Gillibrand, D-N.Y., speaks during the New York State Senate debate hosted by WABC-TV, Thursday, Oct. 25, 2018 in New York. 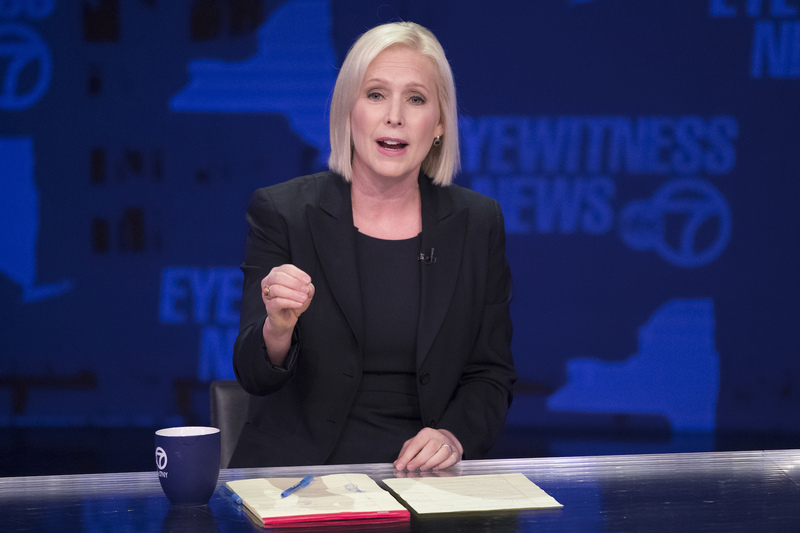 After initially denying plans to run, New York Sen. Kirsten Gillibrand announced Jan. 15 that she had launched an exploratory committee for a 2020 bid. Spiritual teacher and author Marianne Williamson announced her campaign for the presidency on Jan. 28. "I want to engage voters in a more meaningful conversation about America," Williamson said in a statement obtained by ABC News. "About our history, about how each of us fit into it, and how to create a sustainable future. Our national challenges are deep, but our political conversation is shallow." Williamson is known for her 1992 bestseller "A Return to Love" and her appearances on "The Oprah Winfrey Show." She founded Project Angel Food, a charity that delivered meals to home-bound patients battling AIDS and other diseases, and has also worked to support peacekeeping causes. 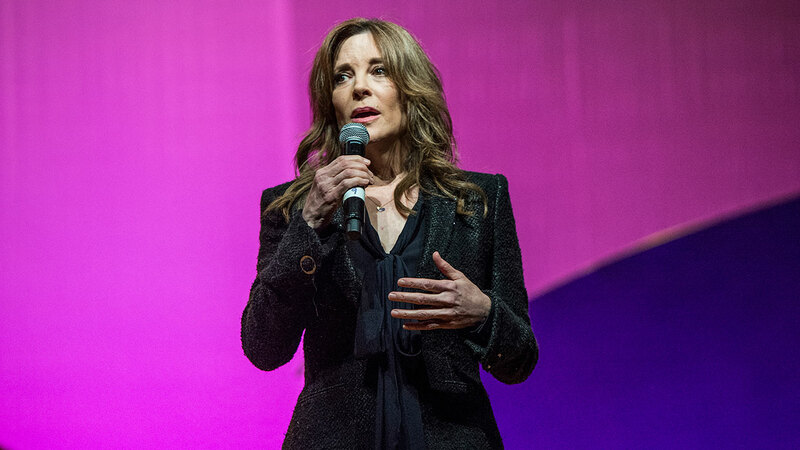 Marianne Williamson on day three of Summit LA17 in Downtown Los Angeles's Historic Broadway Theater District on Sunday, Nov. 5, 2017, in Los Angeles. Former Obama administration housing chief Julian Castro officially kicked off his presidential campaign on Jan. 12. Castro, the Democratic former mayor of San Antonio who served in President Barack Obama's second term, told Nevada Democrats Jan. 8 that as a presidential candidate, he's going to be talking about improving public education, equal treatment under the criminal justice system and addressing what he called the existential threat of climate change. In this Aug. 10, 2018, file photo, Rep. John Delaney, D-Md., speaks to fairgoers during a visit to the Iowa State Fair in Des Moines, Iowa. The three-term Maryland legislator announced his intention to run for the presidency back in 2017 and has since run multiple television ads in battleground Iowa. He visited each of Iowa's 99 counties in 2018, according to the AP. 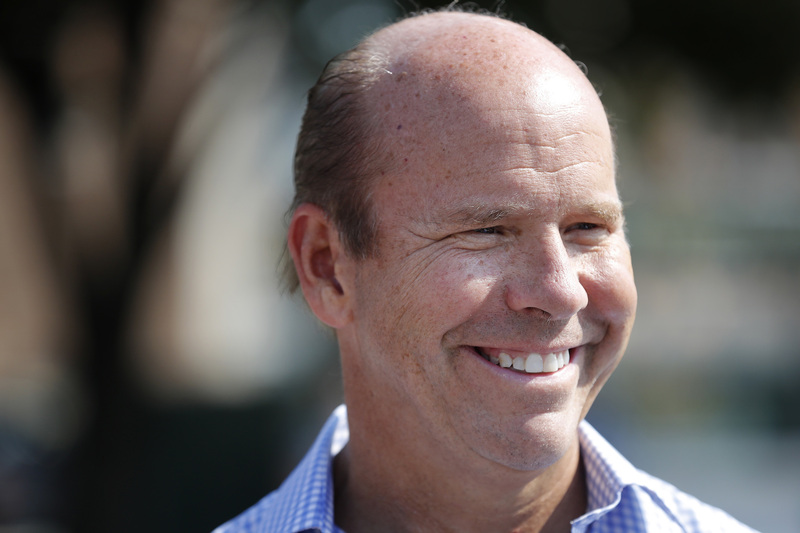 Despite the nationalization of more recent presidential campaigns, Delaney has been taking a chapter from previous Iowa Cinderella stories. As a little-known Georgia governor, Jimmy Carter famously crisscrossed Iowa to emerge as a rising star in 1976. Entrepreneur Andrew Yang is pictured in an undated photo from his campaign website. Andrew Yang filed a statement of candidacy in 2017. Yang is the founder of Venture for America, an organization focused on job creation in several cities across America. His campaign platform is focused on creating an "America of opportunity, freedom, equality, and abundance." Rep. Tulsi Gabbard, D-Hawaii, greets supporters Tuesday, Nov. 6, 2018, in Honolulu. 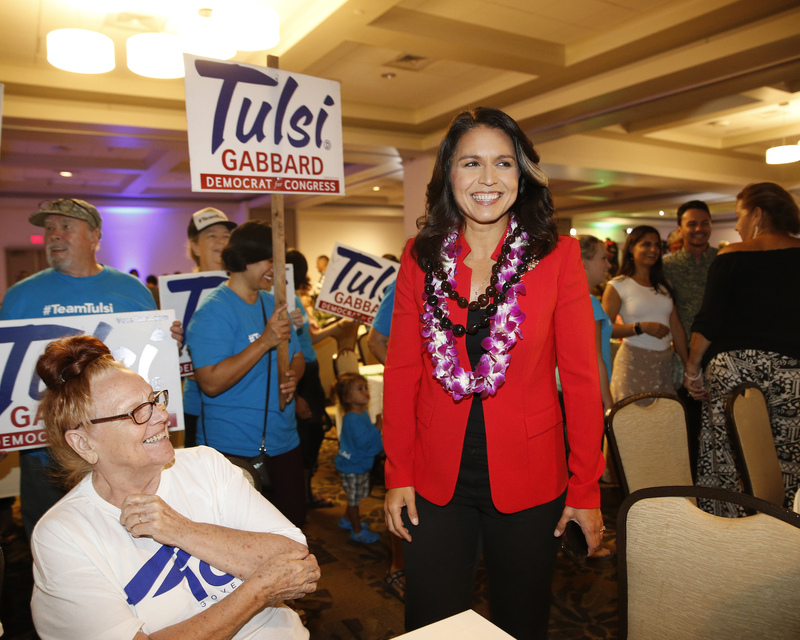 U.S. Rep. Tulsi Gabbard, a Hawaii Democrat known for bucking the party establishment and for criticizing U.S. foreign policy in the Middle East, formally launched her campaign for president with a video posted online Thursday. The 37-year-old Iraq War veteran is the first Hindu elected to Congress and the first member born in the U.S. territory of American Samoa. She has visited early primary and caucus states New Hampshire and Iowa in recent months and has written a memoir that's due to be published in May. In this Oct. 31, 2018, photo, former Vice President Joe Biden speaks during a rally in Bridgeton, Mo. 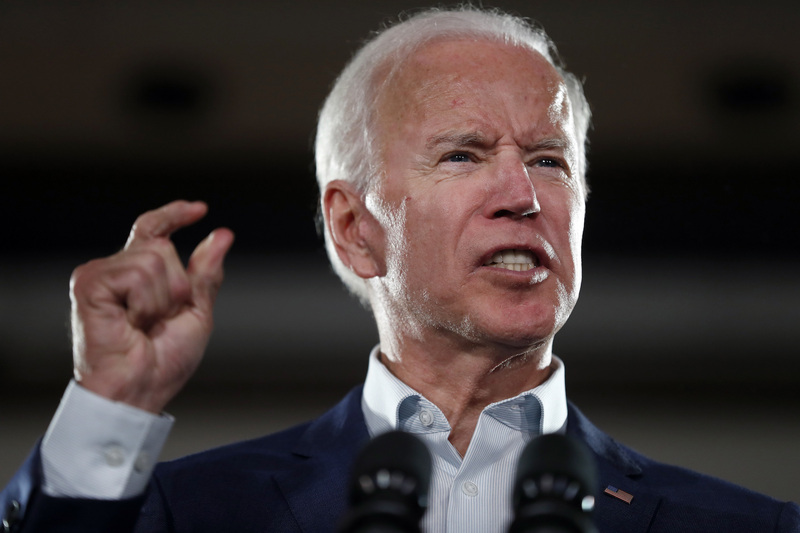 As he considers running for president, Joe Biden is talking with friends and longtime supporters about whether, at 76, he's too old to seek the White House, several sources who have spoken with the former Democratic vice president told the Associated Press in December. The discussions suggest Biden is aware that his age may be the biggest hurdle to launching another bid for the Democratic presidential nomination, especially in an era when many in the party yearn for a new generation of leadership. If Biden runs against Trump in the general election, either would be the oldest president ever elected. Democratic presidential candidate Hillary Clinton speaks during a campaign rally in Raleigh, N.C., Tuesday, Nov. 8, 2016. 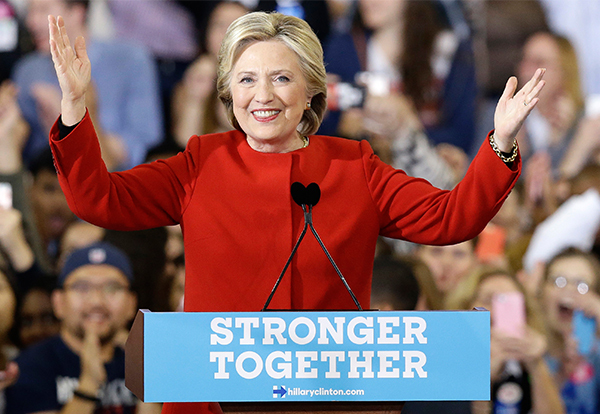 Clinton officially ruled out a 2020 bid on March 4 but said she's not going anywhere. Back in October, Clinton said once again that she did not want to run again, though she added, "I'd like to be president." She'd previously said she would not run again following her loss in 2016, though one of her former advisers predicted in a November Wall Street Journal op-ed that Clinton "will come full circle" and "fight this out until the last dog dies." "She won't let a little thing like two stunning defeats stand in the way of her claim to the White House," Mark Penn wrote. The prominent New York City billionaire and former mayor had been toying with a run but announced on March 5 that he would not join the race. Instead, he said he would focus on fighting climate change. "It's essential that we nominate a Democrat who will be in the strongest position to defeat Donald Trump and bring our country back together," he wrote in an op-ed published on Bloomberg News. "We cannot allow the primary process to drag the party to an extreme that would diminish our chances in the general election and translate into 'Four More Years.'"